We also discussed the services Greg offers documenting barns and researching house histories, the barn tours and seminars, and the books he has written. Contact info: Greg Huber, Architectural Historian 610-967-5808 greg@easternbarns.com Books: The Historic Barns of Southeastern Pennsylvania: Architecture and Preservation Built 1750-1900 Bio: Gregory Huber – of Past Perspectives and Eastern Barn Consultants • Gregory D. Huber is an independent scholar, consultant and principal owner of both Past Perspectives and Eastern Barn Consultants, historic and cultural resources companies that are based in Macungie, Lehigh County, Pennsylvania. • His special focus is in House Histories and Barn Histories of historic homesteads in southeast Pennsylvania and beyond. • A student of early vernacular architecture since 1971, Huber has specialized in pre-1850 barn and house architecture of Holland Dutch in New York State and northern New Jersey and Pennsylvania Swiss-German and certain English settled areas of the northeast. • Huber’s latest book – out in August 2017 – The Historic Barns of Southeastern Pennsylvania – Architecture and Preservation – Built 1750 to 1900 has reached Number One Book on the Amazon Best Seller list in its specific category – Vernacular Architecture • He is author of more than 270 articles on barn and house architecture and is co-author of two other books and editor of another book – Barns – A Close-up Look. • He has lectured to more than 225 audiences and led dozens of barn and house tours in several states of the northeast. • He is available for historic homestead consultation work on old houses and barns. Our recent blog post from Ken Roginski about the mistakes and and "no-no's" that are so often made by well-meaning historic building owners as they attempt to preserve a house through the years reminded us very much about a project we did a few years ago. The John Maddox Denn House project was built in 1725 and over the years it had been remodeled several times, with mistake piling on top of mistake. By the time we were hired, a complete restoration was required to return the historic home to its original period of significance. (You can also read an excerpt of the book our own Lois Groshong wrote about the restoration of the Denn House "2001 Restoration of a Colonial Home".) Given how commonly restoration and renovation mistakes are made when working on historic buildings, we're also in the process of launching our very first Preservation Primer that addresses this very subject. Look for the announcement of that release soon, but in the meantime, the following books (taken straight from our very own bookshelves) may help you learn more about how to work on a historic building without compromising its historic fabric. Collins Period House: How to Repair, Restore, & Care for Your Home by Albert Jackson and David Day "Collins Period House is intended for home-owners of period property who appreciate the beauty, tradition, and fine craftsmanship of their older homes and who wish to maintain and restore them in a way that is true to their individual histories. A step-by-step guide, Collins Period House puts sympathetic restoration firmly within the grasp of all period-home owners. Detailed instructions and nearly a thousand informative photographs and drawings explain exactly what can be done, using authentic techniques and materials. The book also indicates what should be left well alone and when it may be necessary to call in a specialist. The authors concentrate on the restorations of those elements that give buildings their special charm and character. They explain how to renovate existing period fixtures and fittings, and suggest sources of authentic designs to replace those discarded or beyond repair. And when there is little possibility of obtaining the genuine article, suitable reproductions are proposed. Whether it is simply refinishing an antique banister or installing a period mantelpiece, Collins Period House will give readers the confidence to tackle restoration projects on their own by painstakingly guiding them through every stage in the process, until they achieve the home of their dreams beautifully restored for posterity." Building Codes for Existing and Historic Buildings by Melvyn Green, S.E. 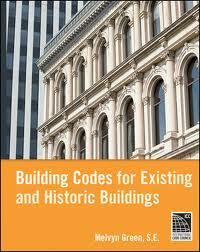 "Learn to apply the International Building Code and International Existing Building Code to historic buildings. Written for architects, engineers, preservation, and code enforcement professionals, this is the only comprehensive book that examines how the International Building Code (IBC) and the International Existing Building Code (IEBC) can be applied to historic and existing buildings. For ease of use, the book is organized to parallel the structure of the IEBC itself, and the approach is cumulative, with the objective of promoting an understanding of the art of applying building regulations to the environment of existing buildings. Building Codes for Existing and Historic Buildings begins with a discussion of the history of building regulations in the United States and the events and conditions that created them. Next, it provides thorough coverage of: -The rational behind code provisions and historic preservation principles -Major building code requirements: occupancy and use, types of construction, and heights and areas -Building performance characteristics: fire and life safety, structural safety, health and hygiene, accident prevention, accessibility, and energy conservation -Case study projects that reinforce the material covered Additionally, the book includes building analysis worksheets - both blank and filled-in versions with examples - that illustrate how to develop a code approach for an individual building. If you are a professional at any level who is working on creating a plan that meets the intent of the code for historic or existing buildings, Building Codes for Existing and Historic Buildings gives you everything that you need to succeed." 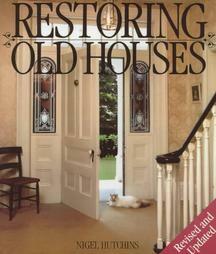 Restoring Old Houses by Nigel Hutchins "The many professional disciplines and trades required to restore a house would take lifetimes to master. This book is not meant to teach those skills, but to aid the layman and preservationist in the process, pitfalls, and delights of this endeavor. Evolving one's lifestyle to suit a lifestyle of another decade or century is a challenge technically, socially, and visually. "Preservation," "recycle," and "reuse" are terms we use in our day-to-day conversation. When looking at the resource of four hundred years of domestic architecture, these axioms seem easy to follow. Unfortunately, the process of preservation has given way first to neglect and patchwork solutions, and second to a wholesale popularizing of preservation, which in turn creates its own set of problems. The process of neglect, while its very meaning is negative, has in many cases meant that change has not occurred. This lack of change means details are undisturbed. The layout of the rooms remains the same. In fact, the vestiges of the original structure are often untouched. The preservationist can then discern how and why restorations should take place, marrying past and contemporary. Therefore, while neglect is bad, it is not as grave as the second problem. The popularizing of period homes has in many cases destroyed the very elements that preservationists should be saving. For instance, in an effort to glamorize a structure, neoclassical features may be stuck on neogothic facades, or windows may be transformed into T.V. colonial. Often elements are replaced rather than refurbished. The further evolution of this process is the setting apart from the general neighborhood of the "heritage" house or district. The labeling of structures and areas as "heritage" may save them in the immediate; however, this approach also sets them apart from the general community, depriving them of their role as a working part of that particular neighborhood. Heritage preservation should be part of the housing building process today. The very term preserve means "to keep". Old does not have to be new again, but functional, both visually and technically. It is important that we, as temporary tenants in a period house, make changes and maintain it for future generations." Restoring Houses of Brick and Stone by Nigel Hutchins "In Restoring Houses of Brick & Stone, Nigel Hutchins has created a worthy successor to Restoring Old Houses. This splendidly thorough work is at once a comprehensive history and a practical manual. Its starting point is an exhortation to the well-intentioned old-home preservationist to know first and foremost the meaning of the term "restore." For the restorer, historical accuracy is the watchword, even if the results shatters our preferred fancies. For the renovator, there are more options. We may very well wish to rebuild a historic home according to our wishes for what history should have been, or we may take the earnest path and seek to return a structure to what it once was in actual fact - the important thing is that we are aware that we are making a choice. A great wealth of pleasure accrues from a slow and sensitive reading of each chapter. The historical introductory comments are a special treat, valuable if for no reason than to spare us the exasperation of repeating the mistakes of those who have gone before. The historical erudition of these pages is matched by a wealth of sensible day-to-day insights regarding selection and repair of building materials, techniques of construction and reconstruction, methods of cleaning, principles of renovation and additions and invaluable discussions of things best not done at all. For the professional and amateur alike, here is a clear-headed, wise and even witty account of a thousand useful topics." Practical Restorations Reports by John Leeke, American Preservationeer Practical Restoration Reports are a detailed technical series on preservation topics packed with practical methods you can use now. The reports contain complete descriptions of useful techniques with drawings and photos that reflect the latest developments in the field of architectural preservation. Information in each report is updated as new developments in preservation are actually used on projects around the country. These reports are based on real projects and the author’s thirty years experience as a preservation tradesman and contractor. He brings that experience to work for the readers of these reports. He developed these reports in response to the needs of professionals, contractors, and homeowners for detailed and accurate information about their old and historic buildings. 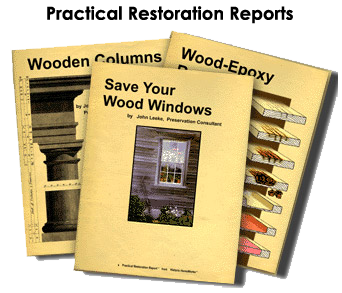 Homeowners & Do-It-Yourselfers: Use Practical Restoration Reports as do-it-yourself guides. They give you all the information you need to talk with trades people confidently Trades People & Contractors: Bring your crews up-to-speed quickly on new preservation techniques with Practical Restoration Reports. With their help, you can move into productive work with less time and hassle. Architects & Professionals: Refer to Practical Restoration Reports in your specifications, then just include a copy of the report. The reports provide a hands-on approach contractors will appreciate. 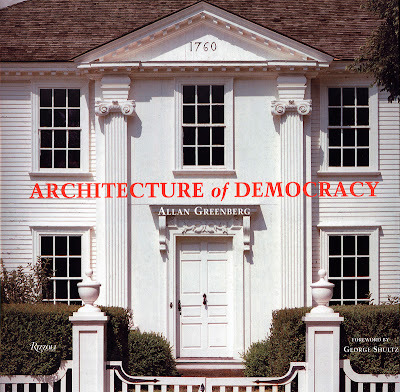 Wrapping up our discussion on the founding of our country, we thought we recommend this book on the founding architecture of our country. You can read more information about author Allan Greenberg at his website, a detailed article on Allan Greenberg and this book that ran in a 2007 issue on Traditional Building, and the book can be purchased at multiple places online but we suggest ordering from our favorite locally owned and operated brick-and-mortar bookstore, Aaron's Books. On Sunday, September 14, 2008, we went to the Ephrata Cloister's tour of the second and third floors (areas not usually open to the public). The third floor is mostly intact from the 18th century (used to recreate the rooms on the first floor for the museum tour) and the second floor was "remodeled" in the 19th century with some walls being taken out and staircases moved. The most interesting features were the wooden thumb latches and wooden hinges on the cabinets. Some of the buildings on the Cloister site are unique because they are half-timber (frame buildings with the inside of the frame filled with masonry and then covered by wooden siding). This is the largest collection of buildings constructed in this manner in Pennsylvania. Given how commonly restoration and renovation mistakes are made when working on historic buildings, we’re also in the process of launching our very first Preservation Primer that addresses this very subject. Look for the announcement of that release soon, but in the meantime, the following books (taken straight from our very own bookshelves) may help you learn more about how to work on a historic building without compromising its historic fabric. “Collins Period House is intended for home-owners of period property who appreciate the beauty, tradition, and fine craftsmanship of their older homes and who wish to maintain and restore them in a way that is true to their individual histories. A step-by-step guide, Collins Period House puts sympathetic restoration firmly within the grasp of all period-home owners. Detailed instructions and nearly a thousand informative photographs and drawings explain exactly what can be done, using authentic techniques and materials. The book also indicates what should be left well alone and when it may be necessary to call in a specialist. The authors concentrate on the restorations of those elements that give buildings their special charm and character. They explain how to renovate existing period fixtures and fittings, and suggest sources of authentic designs to replace those discarded or beyond repair. And when there is little possibility of obtaining the genuine article, suitable reproductions are proposed. Building Codes for Existing and Historic Buildings by Melvyn Green, S.E. 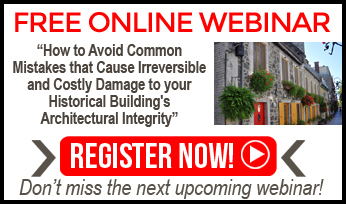 “Learn to apply the International Building Code and International Existing Building Code to historic buildings. Written for architects, engineers, preservation, and code enforcement professionals, this is the only comprehensive book that examines how the International Building Code (IBC) and the International Existing Building Code (IEBC) can be applied to historic and existing buildings. For ease of use, the book is organized to parallel the structure of the IEBC itself, and the approach is cumulative, with the objective of promoting an understanding of the art of applying building regulations to the environment of existing buildings. “The many professional disciplines and trades required to restore a house would take lifetimes to master. This book is not meant to teach those skills, but to aid the layman and preservationist in the process, pitfalls, and delights of this endeavor. Evolving one’s lifestyle to suit a lifestyle of another decade or century is a challenge technically, socially, and visually. “Preservation,” “recycle,” and “reuse” are terms we use in our day-to-day conversation. When looking at the resource of four hundred years of domestic architecture, these axioms seem easy to follow. Unfortunately, the process of preservation has given way first to neglect and patchwork solutions, and second to a wholesale popularizing of preservation, which in turn creates its own set of problems. The process of neglect, while its very meaning is negative, has in many cases meant that change has not occurred. This lack of change means details are undisturbed. The layout of the rooms remains the same. In fact, the vestiges of the original structure are often untouched. The preservationist can then discern how and why restorations should take place, marrying past and contemporary. Therefore, while neglect is bad, it is not as grave as the second problem. The popularizing of period homes has in many cases destroyed the very elements that preservationists should be saving. For instance, in an effort to glamorize a structure, neoclassical features may be stuck on neogothic facades, or windows may be transformed into T.V. colonial. Often elements are replaced rather than refurbished. The further evolution of this process is the setting apart from the general neighborhood of the “heritage” house or district. The labeling of structures and areas as “heritage” may save them in the immediate; however, this approach also sets them apart from the general community, depriving them of their role as a working part of that particular neighborhood. Heritage preservation should be part of the housing building process today. The very term preserve means “to keep”. Old does not have to be new again, but functional, both visually and technically. 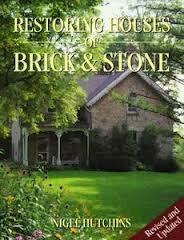 “In Restoring Houses of Brick & Stone, Nigel Hutchins has created a worthy successor to Restoring Old Houses. This splendidly thorough work is at once a comprehensive history and a practical manual. Its starting point is an exhortation to the well-intentioned old-home preservationist to know first and foremost the meaning of the term “restore.” For the restorer, historical accuracy is the watchword, even if the results shatters our preferred fancies. For the renovator, there are more options. We may very well wish to rebuild a historic home according to our wishes for what history should have been, or we may take the earnest path and seek to return a structure to what it once was in actual fact – the important thing is that we are aware that we are making a choice. A great wealth of pleasure accrues from a slow and sensitive reading of each chapter. The historical introductory comments are a special treat, valuable if for no reason than to spare us the exasperation of repeating the mistakes of those who have gone before. The historical erudition of these pages is matched by a wealth of sensible day-to-day insights regarding selection and repair of building materials, techniques of construction and reconstruction, methods of cleaning, principles of renovation and additions and invaluable discussions of things best not done at all. Practical Restoration Reports are a detailed technical series on preservation topics packed with practical methods you can use now. The reports contain complete descriptions of useful techniques with drawings and photos that reflect the latest developments in the field of architectural preservation. Information in each report is updated as new developments in preservation are actually used on projects around the country. These reports are based on real projects and the author’s thirty years experience as a preservation tradesman and contractor. He brings that experience to work for the readers of these reports. He developed these reports in response to the needs of professionals, contractors, and homeowners for detailed and accurate information about their old and historic buildings. Bring your crews up-to-speed quickly on new preservation techniques with Practical Restoration Reports. With their help, you can move into productive work with less time and hassle. Refer to Practical Restoration Reports in your specifications, then just include a copy of the report. The reports provide a hands-on approach contractors will appreciate. Wrapping up our discussion on the founding of our country, we thought we recommend this book on the founding architecture of our country. You can read more information about author Allan Greenberg at his website, a detailed article on Allan Greenberg and this book that ran in a 2007 issue on Traditional Building, and the book can be purchased at multiple places online but we suggest ordering from our favorite locally owned and operated brick-and-mortar bookstore, Aaron’s Books. On Sunday, September 14, 2008, we went to the Ephrata Cloister’s tour of the second and third floors (areas not usually open to the public). The third floor is mostly intact from the 18th century (used to recreate the rooms on the first floor for the museum tour) and the second floor was “remodeled” in the 19th century with some walls being taken out and staircases moved. The most interesting features were the wooden thumb latches and wooden hinges on the cabinets.